(Newser) – The FDA has been dragging its feet when it comes to regulating acetaminophen—the active ingredient in Tylenol and many other drugs—or at least implementing safety precautions, and Americans have been dying as it does so, a new Pro Publica/This American Life investigation concludes. 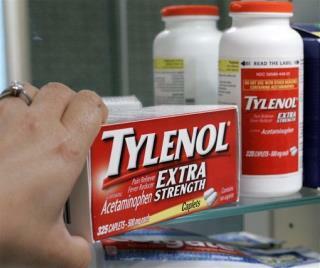 Over the past decade more than 1,500 Americans have died of acetaminophen overdose, or about 150 a year. But the FDA has repeatedly put off measures that might curb the problem, even though its own advisory committees have been urging increased safety measures since 1977. It blew its most recent deadline for new rules just last month. Too much acetaminophen can seriously damage the liver, so it's dangerous in too-large doses or when combined with alcohol. That's 150 more than any cannibis "death"(of which there are none). I agree with most posts. 150 people is very low for a mortality rate. More people die from vitamin overdose for sure.